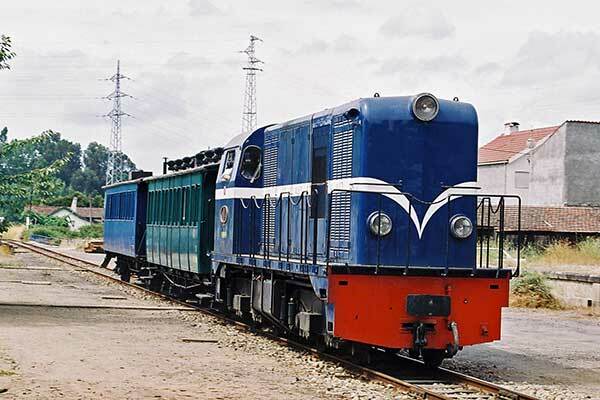 Caption - CP metre gauge Alsthom built Bo-Bo 9004 of 1964 with a train of historic coaches at Vila Real on the Corgo line (Linha do Corgo) in northern Portugal, which closed in 2009. The railway ran north from Regua on the main Douro railway to Vila Real and Chaves. Photo taken on 24th October 2005.